Sharing peace with your friends is an admirable thing to do. In order to do that, you wouldn’t need to work extra hard. The only thing that you need to do is to put this necklace on, and it would speak up for itself. 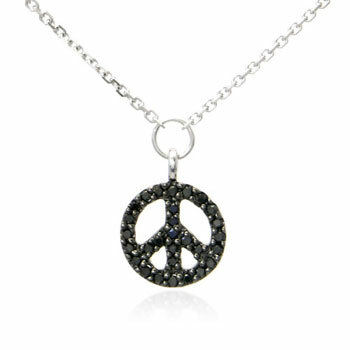 This attractive necklace uses the peace symbol as the pendant. Moreover, the white gold and diamonds on the pendant make it look so terrific and trendy.